A couple of years ago, I developed a short-lived obsession with decorating cookies. I bought a bunch of cookie decorating tools and they have been collecting dust in my cupboard ever since. Recently, I’ve been experimenting with aquafaba as an egg-replacer. That stuff is magic. I used it to make a vegan pavlova. If it could handle being whipped into airy meringue, I knew it could be used to make royal icing. 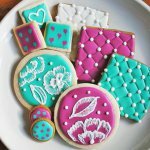 This recipe makes about 3 cups of icing, enough to decorate 30-50 cookies depending on how much coverage and detail your designs include. A little note on food coloring: I use americolor gel colors to get vibrant and beautiful shades. I have seen them sold as vegan food coloring, but if you are strict about veganism you should check with the manufacture. Since I’m not a vegan, I will take my chances. This vegan royal icing uses aquafaba in place of eggs. Aquafaba is the brine drained from a can of chickpeas. In a stand mixer, whip the aquafaba on high until just foamy (about 30 seconds). Turn off the mixer and add the confectionary sugar and vanilla. Cover the mixer with a kitchen towel to keep the sugar from blowing everywhere. Mix everything on medium-high for 5-7 minutes. Store in an airtight container in the fridge until it is ready to use. Before decorating your cookies, add food coloring and adjust the consistency of the icing by adding water 1/2 tsp at a time. Aquafaba isn’t a brine. Brine usually has salt. It is more a chickpea water or bean water which is what aquafaba translates too. Although you are technically correct, the term “chick pea brine” is often used by people searching for Aquafaba recipes. Using the term helps people find the content, even if it isn’t by-the-book. I second you Jasmine. The process of making it easier for people to understand and simplifying the complex is being overlooked by people and criticizing has kind of become the trend but lets take it in much constructive manner and positive ways on the road to progress and I am sure your recipe is appreciated and liked, loved by many just the way I do. Thanks a lot for your recipe. Haven’t tried it yet but will definitely do. I just found out about aquafaba today! I can’t wait to make vegan chocolate mousse. YUM! And um…… these cookies are GORGEOUS! Thank you! I can’t wait to try your chocolate mousse! 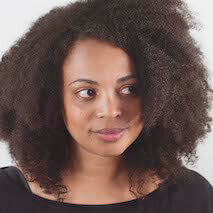 I landed on Facebook vegans hits n misses from Gretchen Price of Gretchen’s Bakery to geeky cakes to vegan hits n misses.n saw ua post der n landed here..nice blog. I would like to try this icing.I have one Wid d egg from Gretchen. It’s awesome. But since I like to experiment Wid d things.. Want to try dis too..in d recipe u said whip it just until foamy.. So is it dat we dun want peaks just get a foam n mix sugar? Hi there, you are correct. You don’t need to whip it for long, you just want a foamy or frothy mixture. U can if u want…it’s a great website with some vegan recipes too. Forgot to ask ya..of u have a gud vegan cookie recipe.. The one one which u hv done icing. I haven’t perfected my own vegan sugar cookie recipe yet. I just adapted a non-vegan one by using Earth Balance in place of butter and aquafaba instead of eggs. They turned out okay, but I still want to perfect the recipe before sharing my own! How long does this icing last , already placed on the cookie?? I want to make cookies for my 2 yr toddler birthday party, which is in 2 weeks, and I have a lot of things to do , so I want to do as much as possible before that weekend. What kind of food coloring did you use in the photo? I have been searching for a good vegan food coloring that produces intense colors. Thank you for this recipe! I use americolor gels. I did some research in vegan forums and came across a few discussions that described them as vegan-friendly. You should confirm with the company if you are a strict vegan or serving your food to strict vegans. I’m not vegan, so I was willing to take the forum discussions at face value. OMG Jasmine, look at those decorating skills! This recipe is perfect for the holidays, gotta try it! Thanks Jessica! I look forward to seeing your holiday cookies! Very exciting! I’m not vegan but I like to make things vegan-friendly when I can. Also read about aquafaba in making marshmallow fluff with real marshmallow root, which I’m excited to try. More evidence that chickpeas are magical. So does the icing firm up pretty well? Are these gorgeous cookies stackable when dry? It dries up just like conventional icing, so you can stack them! This is great! I’m not really sure why anyone, even nonvegans, would want to use raw egg whites when this recipe works!! I followed your recipe but the mixture is completely liquid and won’t thicken for some reason. I tried adding more aquafaba but it’s still soupy. I’m using my food processor so I wonder if that’s the problem. Hi Aaron, thanks for circling back and letting me know it was the equipment and not the recipe! I hope your cookies turn out perfectly for your potluck! Bladed things (food processor, blender) usually won’t work for whipping, because it cuts up (pops) the little air bubbles as they’re formed — and those air bubbles are what you want! I forgot to add, mine had a shine to it. Yours may vary depending on your drying methods and the contents of your powdered sugar. Some powdered sugar has additives to keep it from clumping. I use a fan to help dry mine and they tend to be shinier that way. Canadian and US ounces are different. It would be about 88 ml or 6 tbsp. Have fun making cookies! You are welcome! Enjoy your cookies! correction: I meant to say I used the liquid fluff in place of the brine and skipped out on a bit of the sugar and the vanilla since it already contained these things. My fluff had a pinch of cream of tartar, which is also in regular royal icing. Thanks Gypsy! I’m in Canada and I recommend Red Path sugar for a totally vegan option. I’m not vegan so I’m not as fussy for my own consumption, but it is definitely worth pointing out for the vegan readers! Thank you for sharing that link! Hi Jasmine, love the recipe. I’m curious about your interest in vegan cooking, and a vegan cookbook, when you’re not vegan. What led you down the vegan cooking path? Hi Samara,vegan baking appeals to my “problem solving” nature. The challenge is making a vegan version that tastes as good or better than the traditional version. My vegan recipes tend to get rave reviews, so I started doing more and more of them. I figure, even if I’m not vegan I can work towards a more plant-based diet. This is a great find. I have a customer requesting vegan cookies. Finding this recipe for RI is great. If anyone knows of a great rolled sugar cookie recipe that is vegan I’d love to see it. Hi Kelly, I am actually working on one right now for my upcoming ecookbook. Stay tuned! Hi im excited to try your recipe! Is this icing also gluten free? Sugar cookies will survive a long time at room temperature. I like to eat them within a week, but I know many cookie decorators who say they are good up to a month. You need to make sure they are wrapped airtight. Thank you for getting back to me, so the icing is fine a week and does not require refrigeration once on cookies. Can you use this icing to pipe dimensional flowers or is it too thin? Will this icing be strong enough to hold a gingerbread house together like traditional royal icing? Yes, it is exactly like regular royal icing. It dries totally solid. I am looking forward to trying your RI. 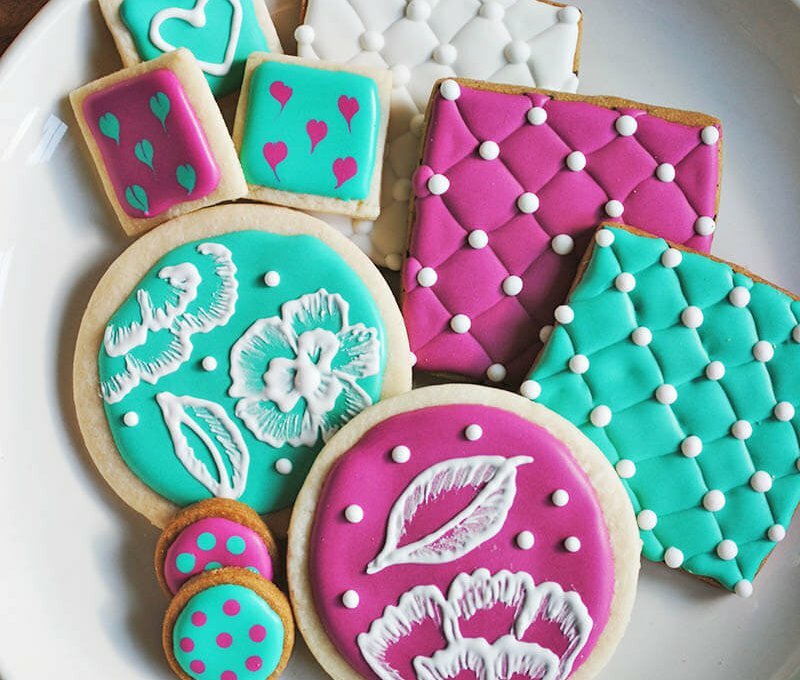 I am so excited, I have wanted to play with decorating cookies for some time, but could not and would not use eggs, since I am vegan. I have one question, I don’t want to make any mistakes. Has the Aquafaba you call for, been reduced or is it straight from the can? Hi Suzie, I usually use reduced aquafaba…but if the stuff your chickpea brine in the can is already thick it will work. It really depends on the brand. If it seems similar in consistency to an egg white, you should be fine. This recipe is pretty forgiving. I forgot to ask you in my previous comment, would you consider making a you tube of how you decorate your cookies. I don’t even know where to begin to do the techniques you use. Your cookies are lovely. Unsalted is preferred, but I’ve used the salted version before and it has been fine. You will barely taste it. Thank you for sharing! This is PERFECT!!! I just made a batch using 1/2 teaspoon almond extract and 1/2 teaspoon water instead of vanilla extract as I didn’t have clear vanilla extract. This is just dreamy and looks great on my gingerbread cutout cookies. I’m glad you liked it! Thank you for sharing your experience. I made this for a cooking baking party a friend threw. My son and I were the only vegans but since I found this recipe we all decided just to use this instead of also making one with eggs. It turned out perfectly! Next I’m going to try to do a more decorative icing on cookies we made at home. Such a perfect, simple recipe. Thanks! That is great Meagan!Thank you for sharing. 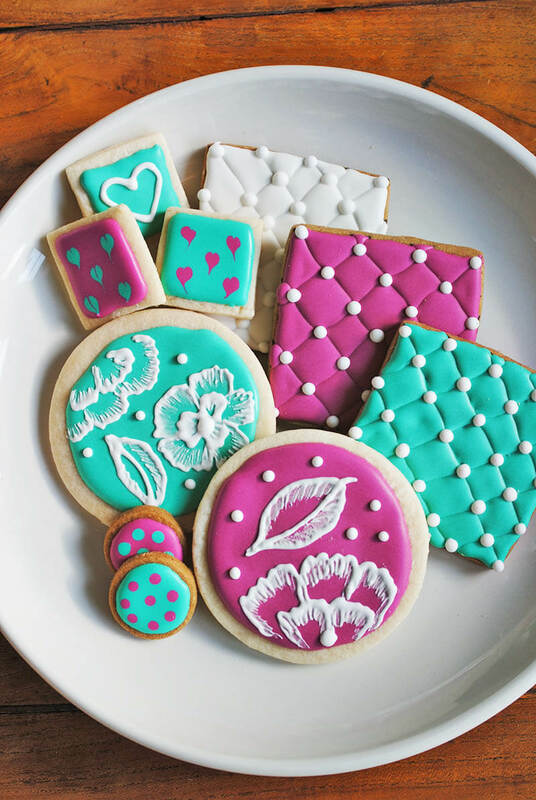 I use this recipe for all of my decorated sugar cookies, it is SO good! Sometimes I have a bit left over and I was wondering how long you think it keeps in the fridge and if it is able to be frozen? Hi, I just made this for a Christmas cake and it worked well. I had the opposite problem from some people and it was really thick, like rolling icing and I couldn’t spread it but I added extra liquid and then it was fine. Thanks for the recipe. Thanks for sharing your experience! I am sure it differs from country to country because of the sugar. Awesome! Thank you for sharing your experience.Enjoy your gingerbread! Hi. This looks amazing and the cookies are beautiful! Question, is the aquafaba in this recipe the reduced version I read about in a different post or straight out of the can. I am going to make royal icing using ur recipe…. but just wondering that for how long we keep the royal icing n how to keep or store it to work…. I meant how long we can keep or store the royal icing to work? Hi Kajal, you can keep it in the fridge for 2 weeks or so.The mixture might separate, but you can stir it back up and it will be okay. My icing came out good but I’m trying to make it better – do you have any tips on how to make it stiff enough to hold its shape once piped into e.g. leaves, and at the same time still detach easily from the tip? Some recipes require that you reduce the aquafaba first. Does this use 3 fl oz straight from the can? Thanks! This one will actually work right out of the can if the brand you buy is relatively thick, but if you have some that has been reduced that works as well. I’ve used both. I am not vegan, but I am really scared of using raw eggs in the icing, so I was looking for a risk free recipe and I am so happy I stumbled upon this post! Just wanted to ask a few of probably dumb questions. Firstly, does the aquafaba have a specific flavour in the icing or is it tastless? Also, does it set? Does your recipe work for piping flowers or other cake details that need to be hard? I have tried SO many vegan royal icing recipes, and they never work. This one worked beautifully. It sets up quickly, sticks firmly, easy to make. Perfect. My kids finally got to make a gingerbread house! Thanks for the great recipe. That is so great! I’m glad it worked out for you. I used this over the holidays when I made Christmas cookies. Made such a big batch, I made 3 baking trays worth of cookies and still had majority of the icing left over. Great recipe and consistency but smaller batch quantities would be helpful for home bakers.